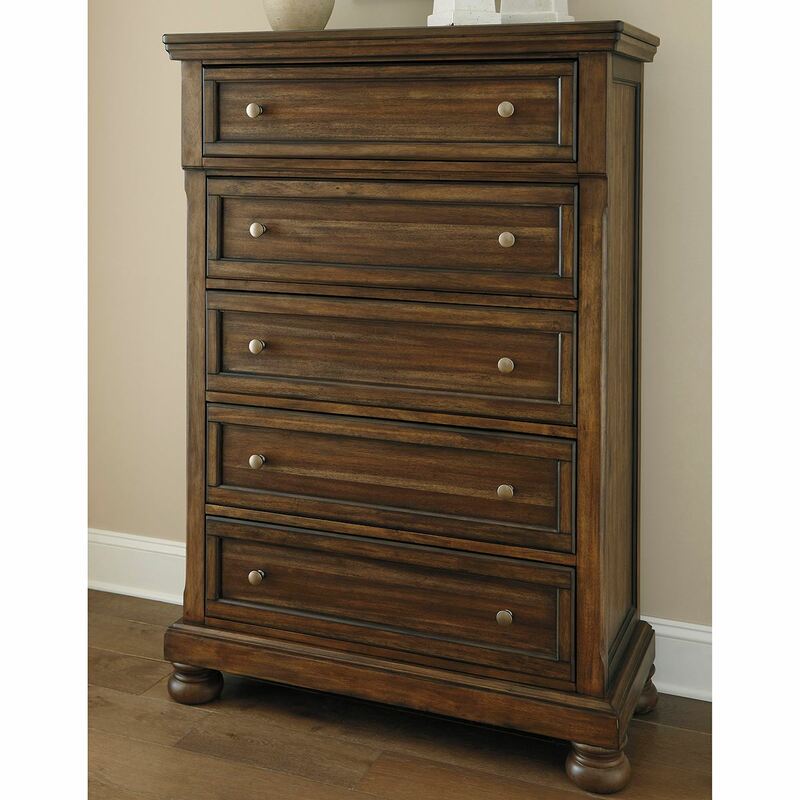 The Kenley 5 Drawer Chest meets today’s design tastes with beauty and grace. Tobacco brown finish allows the natural grain of the acacia veneers to show through in an organic way. Aged brass-tone knobs dress the fronts of the roomy drawers. Hidden pull-out tray behind the top middle drawer puts your small valuables out of sight. This is a look you can appreciate for years to come. Dimensions: 40"W x 18"D x 58"H - 180.78lbs.